Taste the history of Howell Mountain with our unique Library Tasting Experience on our gravel terrace, adjacent to our historic stone winery. 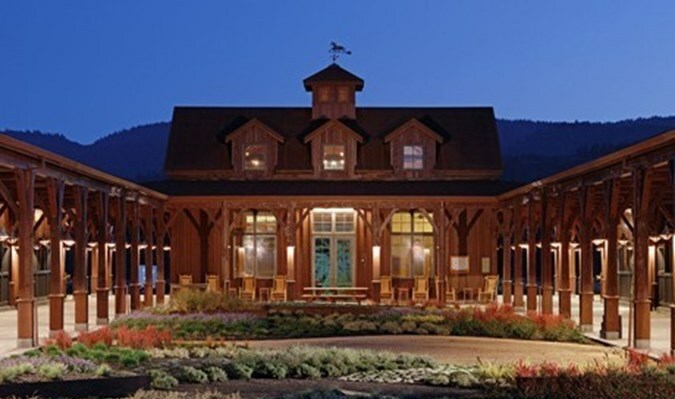 Built in 1886, the winery is filled with history and equipped with an experience to prove it – guests will enjoy this property exclusive experience tasting vintage CADE Estate wines that showcase the aging potential of Howell Mountain. Approximately 1.5 Hours. 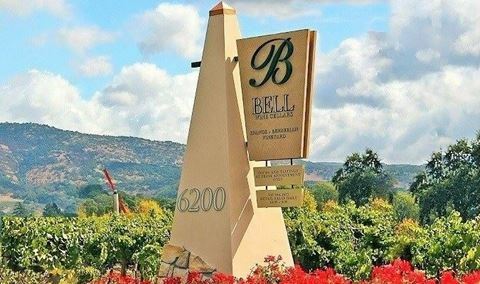 This tasting highlights CADE's current release of Sauvignon Blanc, Estate Cabernet Sauvignon, Napa Valley Cabernet Sauvignon and our Reserve Cabernet Sauvignon. Approximately 1 Hour. 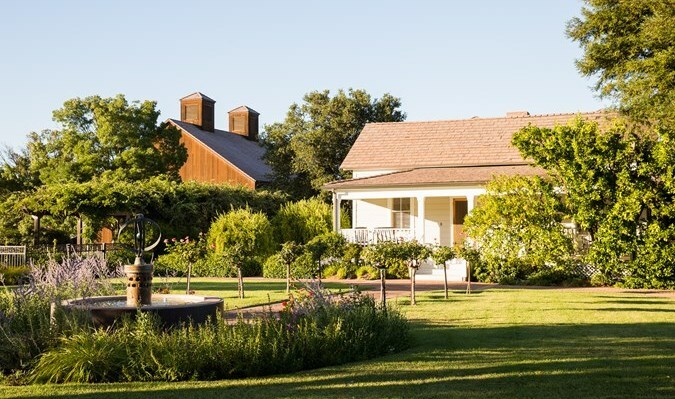 CADE Estate is proud to announce the opening of a second Howell Mountain property (previously Ladera Winery), where guests can journey through history at one of Napa’s oldest wineries, the 13th bonded winery in California. Taste the history of Howell Mountain with our unique Library Tasting Experience on our garden terrace, adjacent to our historic stone winery. 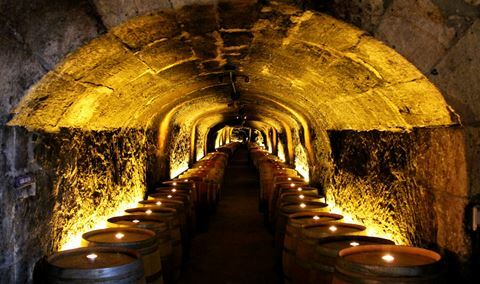 Built in 1886, the winery is filled with history and equipped with an experience to showcase it. 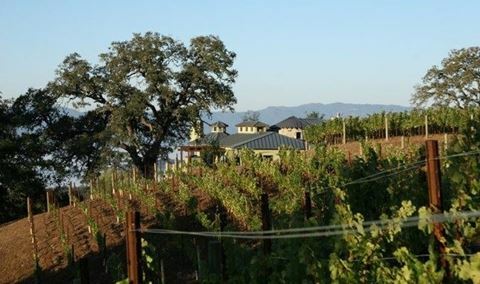 Ideal for wine connoisseurs and guests looking to add some vintage wines to their collection, visitors to CADE 13th Vineyard will enjoy this property's exclusive experience tasting vintage CADE Estate wines that showcase the grace and aging potential of Howell Mountain wines. Originally thought I booked this at the Estate, but decided to keep the reservation to see the new property. It was beautiful, but does not compare to the original by any means. Wines were still amazing. Our tour and tasting experience was personal and not rushed at all. All of our questions were patiently answered and our host was very pleasant and knowledgeable. The only reason first impression is not a 5 is because it was pouring rain and we had a hard time finding the entrance for the tasting. We were early so no one was outside to direct us, but they accommodated us when we arrived. 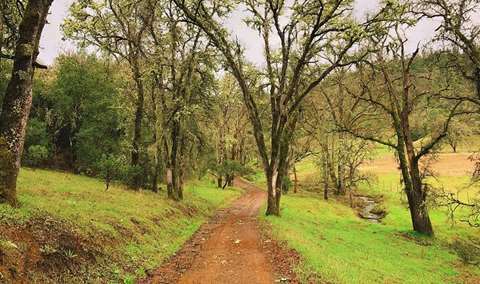 This experience is one of the reasons Imlove coming to Napa. The drive up is incredible. We pulled up to a beautiful old stone building and quickly welcomed by Stuart, who was a really friendly and knowledgeable host. He gave us fantastic tour and a fun, relaxing and educational tasting. I could go on, but have limited characters for this review. I’ll just say GO, you’ll be glad you did. Amazing experience! We toured, tased grapes, saw the press then sat in the cave for tasting. I only wish we had more time before our next stop. I called and cancelled this appointment on Monday October 1st. I had to leave a voicemail and no one ever called me back. No one ever called me back and I assumed they had received the message I left. our host was entertaining and the wines we tasted were delicious and complex. Beautiful building. Lovely sit down tasting of some wonderful wine. The host was very knowledgeable and lots of fun. Stuart was great as were the wines, setting is spectacular. My wife and I had an awesome tasting with Bull this past week. He was super in every way shape and form. Very personal and knowledgeable. We tasted some great wines and considerate it a highlight of our visit from South Florida. The setting for the winery is beautiful and the wine is wonderful. What made our experience stand out over anywhere else in the valley is our host Stewart. He greeted us and instantly made us feel welcome and then took us on an amazing journey through the wines. Stewart has a great personality and just made the entire visit our best experience on the trip. We will be buying more CADE wine!!! Lovely setting to taste CADE Estate and Reserve wines. Kevin was a great host and we enjoyed visiting with him while enjoying some excellent wines. 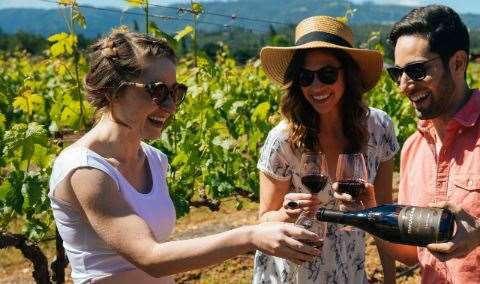 We’ve visited the CADE tasting room and taken the tour at the Howell Mountain vineyard and it was really nice to experience their wines in a different setting. Lovely setting - white patio umbrellas with wooden chairs and tables. Flowers and quail greeted us in addition to John our gracious host for the tasting. Yummy wines, red in particular. New earthquake proof building with steel vats inside 1887 stone building. Highly recommend. Great experience and beautiful setting. After the tasting the manager, Kevin, walked us around and told about the property's history. What a great site! Because of the locations permit they have limited openings so we were the only people at the location which was amazing. Highly recommend! From being greeted on the pathway in to the attention at the end, the experience was awesome! CADE the wine is amazing...our host, Bull, was also great. Our visit however, not so much. We arrived with a confirmation email, and there was no record of up coming for a tour. We were whisked off to an tasking room upstairs. While still tasting our wine and chatting with Bull we were told someone needed the room and we had to leave...as our wine glasses were still holding our wine. The wines in this tasting were good to excellent. 2 were not our style, and 2 were. The only drawback was the high prices. Pulling into Cade at the 13th Vineyard made me feel like I wasn't even in California any longer, it felt like I was somewhere in Europe. I loved it. I know it's a bit of a drive, but well worth it. Very lovely private tasting in the Library. Interesting concepts they are sharing in their bottling practices. Great wines. This was one of the best experiences of my life. From the time I arrived to the time I left, the experience was just perfect. Kevin Ferry was an amazing host. I did the library tasting on 1/13/18. It was just Kevin and I. He made the experience extremely personal. I can't explain how happy I was to have had this experience. Flying in from NYC, this experience exceeded expectations. We just LOVE Cade wines and visited Cade a year ago. Had a fantastic experience at that time. I called Cade and asked about going there again. They told me if I loved the Cade experience, we should try Cade at the Thirteenth Vineyard, so we did. The host was fun and knowledgeable. Loved the visit from Kevin Ferry. The property is not as fancy or beautiful as Cade but the wines were delicious ?? Great property and Kevin was a great host. Only issue was the fruit flies which every winery is dealing with right now--however, other places we visited had covers over their wine glasses to prevent fruit flies from getting into the glass of wine you were trying to enjoy. This was a great experience. The library wine we tasted were amazing and the 06 cab was the favorite of the entire party. Kevin was a terrific host. We had a lovely tour of the facility and had a very comprehensive tasting of the delicious CADE wines, including some that were in really limited availability. This is recommended for those who want to do a serious and informative wine tasting - not your average experience. Beautiful out door Library tasting. Excellent wines and relaxing tasting experience. Very friendly, professional, and knowledgeable staff. In future tastings, I would recommend having Casey as a presenter. Spectacular mountain views. Found some great rare find wines. 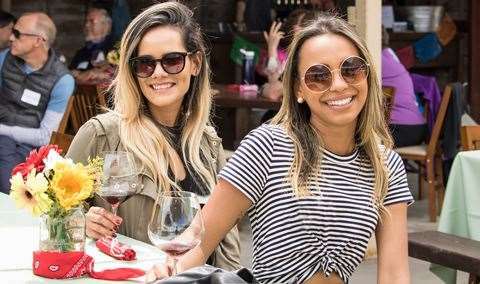 We went to a tasting at the same location almost 5 years ago, when it was Ladera vineyard - I was not impressed at that time. We loved Cade and the hospitality of the staff we met. The cabernets are phenomenal - I can't wait for our shipment to arrive. Some for now; some for later! Very personal and professional tasting experience that catered to our tastes. Very impressive! Kevin was AMAZING. The winery is gorgeous. But the wine..... oh the wine was amazing! We had the best experience and have already planned a return trip in March. The experience was our favorite of our 4 days in Napa. Still new so not yet as nice as other Cade Winery location but the same great wine!